Happy Friday! Are you excited for the weekend? I sure am. Fabulous is…. 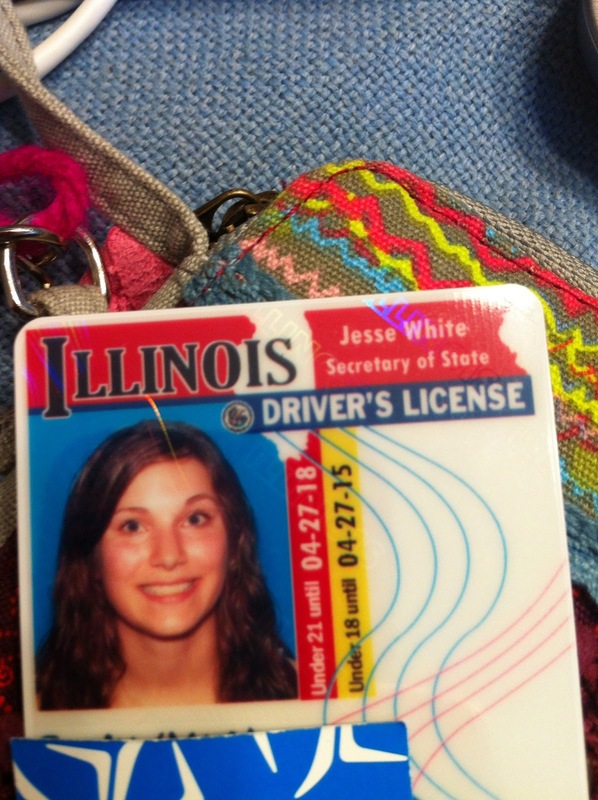 Having a license! On Wednesday I finally got around to going to the DMV. 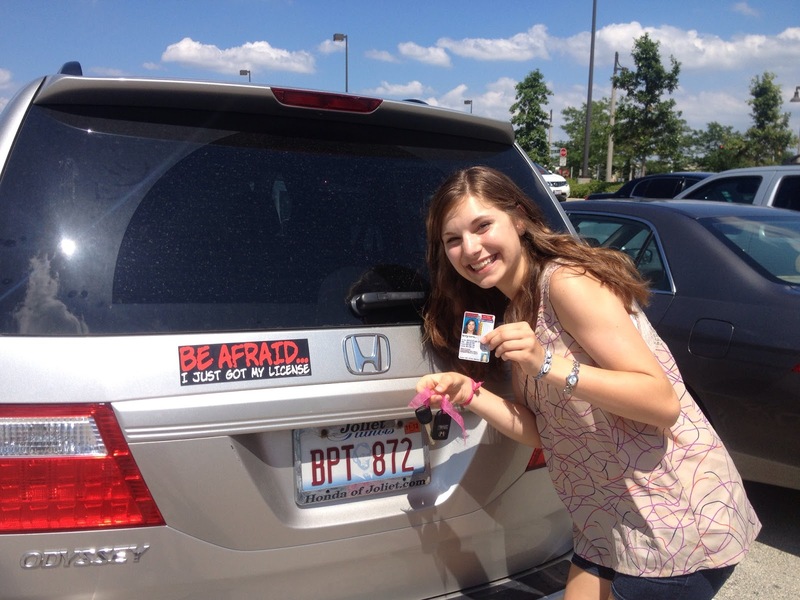 I was completely terrified as I waited alone in the car for the instructor! The test ended up being really easy. It was over in like five minutes, and it was just a few turns in a neighborhood. Fabulous is… This incredibly hilarious magnet my sister got me for when I drive. Not the most flattering picture. I guess I shouldn’t face the sun and wear baggy shirts… Wednesday was NOT my day for pictures! I feel so adult and stuff when I drive me and my friends around. 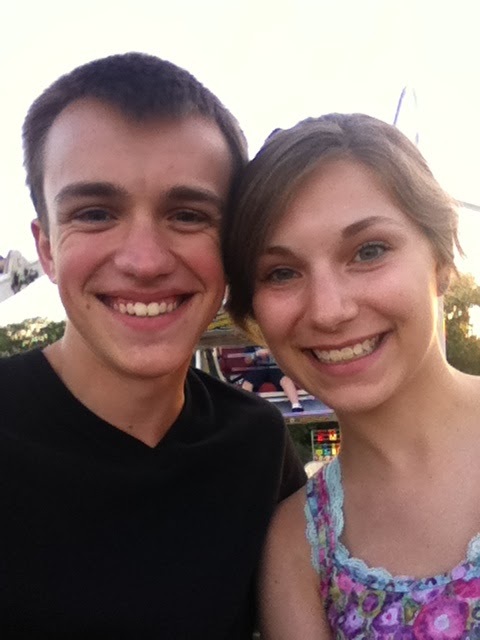 and yesterday I drove us to a fair that was in a nearby town. Cross country camp is fabulous! 22 miles this week so far, and I have a long run tomorrow and a color run on Sunday. However, the pains in my shins are not so fabulous. Ice is my besssst friend. I got my protein!! I was very happy with how fast it was shipped. 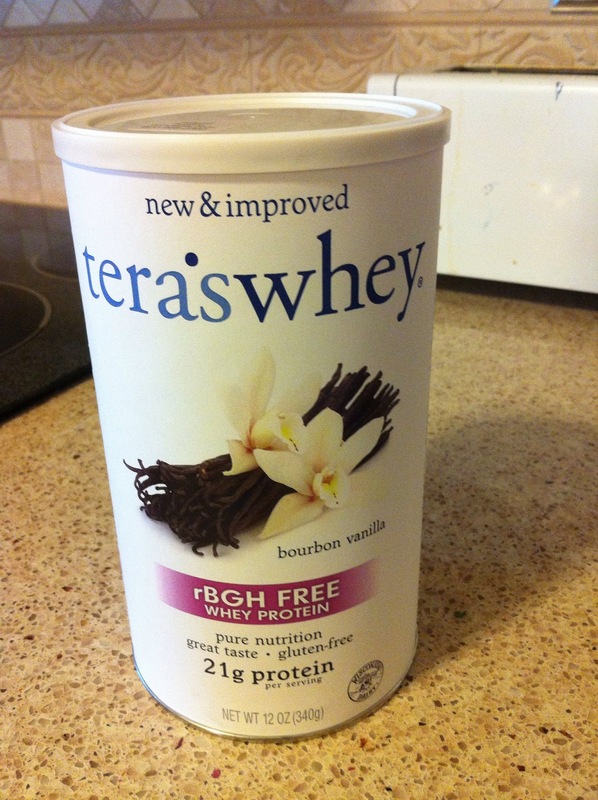 I recommend Natural Healthy Concepts for tera’s whey. The only way I have used it is putting one scoop in Almond Milk, and WOW. It was so yummy! I honestly didn’t expect it to really taste good, but it did. It was hard to mix though. I had a few chunks even after five minutes of beating with a fork. I still have to try it in bars/desserts and in oatmeal, but so far I am really happy with it. I have some fabulosity later today. In a few minutes, my CC friend is coming over with her new doggie! She is a german shepard, and she will get to meet Sophie today. I have no idea how they will play together. Later tonight, I have skit practice for a freshmen orientation that I am a leader for. I can’t believe I’m so old. Two years ago I was a freshmen, now I am teaching freshmen about high school! Scary. What’s fabulous in your friday?